What is organic chicken feed? Organic feed is a natural and untreated feed, the ingredients must be grown on certified farms without the application of fertilisers and chemicals and the addition of growth promoters or antibiotics. The basic requirement of any animal feed is that is provides complete nutrition for the animal it is intended for. As the name suggests, organic feed is the most natural kind and they are free from any chemical adulteration. Organic feed is pure and natural. There has been many years of studies into the feeding of chickens so you should buy a reputable brand or research your own blend with care. You should buy the right amount for the number of chickens you have. This is even more important with the organic varieties of feed as they will have no preservatives added and may spoil more quickly. Organic chicken feed is certified and recognised as a feed that is free from any kind of additives - such as antibiotics, hormones, or pesticides. This certainly sounds simple but it is an endeavour that demands intensive labour. Below: This is my homemade all seed organic chicken feed formulation. The seeds that are used must be certified as organic, which means they have to be grown on the land. The farmer who grew them must hold an organic certification, which will allow him to sell and grow the products as organic feed. Furthermore, since there are no pesticides used in organic feed, human labour cost is much greater. When the end product is ready, they are shipped and then processed separately. Best examples of organic feed are sesame, molasses, some fish meals, soybeans, corn, flax seed meal, peas, barley, and organic wheat. These are sometimes mixed together and fed to the flock. 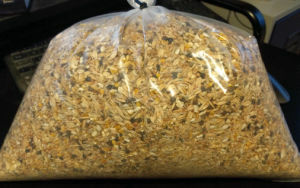 Organic chicken feed formulation often contain more seed, whole or meal (milled) than ordinary layers feed. Is Organic Chicken Feed Worth It? There was a time when people didn't worry much about the purity of the food that they fed to the livestock and animals. Unfortunately, with time, manufacturers started to add many other things to the animal feeds - such as hormones, antibiotics, and then GMO (Genetically Modified Organisms) all these were continued for some time in the name of economy and animal health. Many of the issues with animal feed have been dealt wiith but unfortunately, the issue of GMO is still controversial. What are the benefits of organic chicken feed? 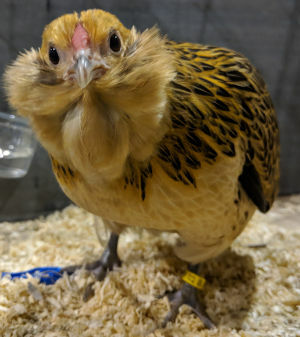 The organic chick feed comes with the major benefit - it's pure, natural, and healthy and these factors give the organic chicken feed a major advantage over the conventional feed. On the other hand, when we talk about GMOs they are still available in the market but the controversy still revolves around them. Although, the GMO manufacturing companies claim they are safe and the chances of them giving long term ill effects is debatable; the safety angle of GMO is still not very clear and it cannot be said that they have no side effects. Whereas, with the organic chicken feed you can rest assured that your livestock and chickens are protected and are fed healthy food, free from any additives. 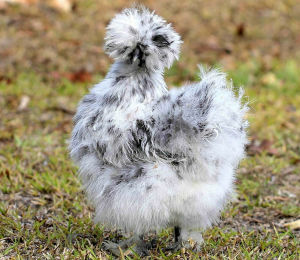 How easy is it to get organic chicken feed? More difficult than you might expect, according to a study done by the United States Department of Agriculture, it was estimated that 85 percent of the soy grown in the United States is GMO. Although, this is the percentage of the United States, when you think about it equated to be around 59 percent worldwide. This makes organic feed a bit of a niche product. What is different about organic feed? Organic feed can not contain growth promoters, hormones, Genetically Modified ingredients, pesticides or fertilisers other than natural ones allowed by the authority. We are here to help you understand what you can feed to your flock and what you shouldn't. But first, let's quickly get familiar with the most popular terms. Antibiotics: Antibiotics are medicines that inhibit or destroys certain micro-organism’s growth. For example penicillin. Conventional feed: Conventional feed is found at the feed store. They may contain GMOs and are cheap. Hormones: Hormones are a body's chemical messengers that govern all aspects of wellness and health. For example insulin, oestrogen, and testosterone. GMO: Genetically Modified Organism or GMO is a living thing or plant that are genetically modified. For example round ready seeds that are altered to endure very high doses of herbicides. 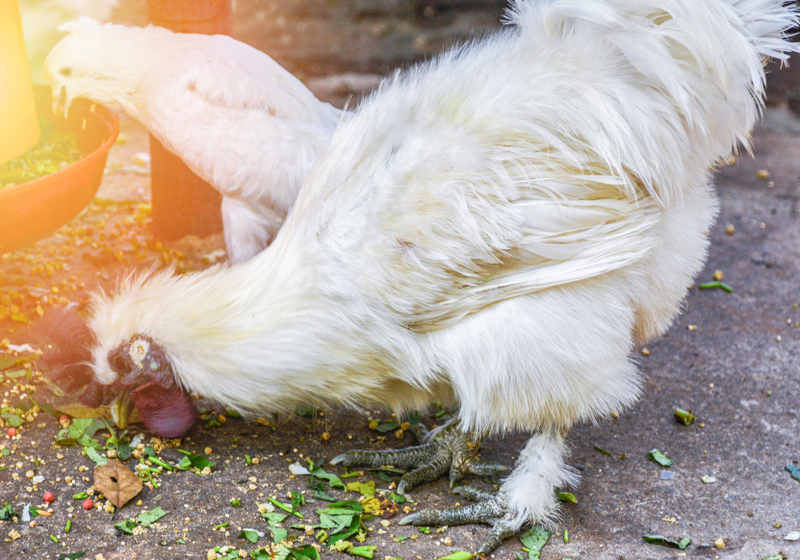 Can you make your own organic chicken feed? 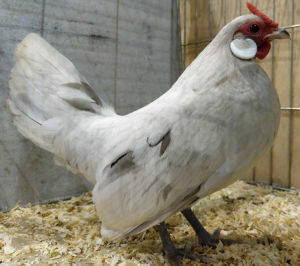 The big benefit of keeping your own chickens is having inexpensive organic eggs or meat. The difficulty is that it can be almost impossible to get organic chicken feeds in some areas and even if you can it is expensive. You can order it online or get it specially made at your local feed store of mill but that is likely to be costly. 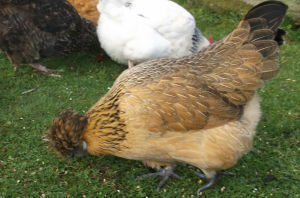 Making your own organic chicken feed is likely to be an all seed mix. You just buy a few sacks of different seeds and mix in a ratio that gets you a good protein level. This is what I do. I buy sacks of shelled sunflower seed, wheat, cracked maize, safflower seed, dried peas, dari, flax seed ( linseed), hemp and buckwheat. I mix it up in big metal bins to a mix that contains around 15% protein. Cheaper homemade organic chicken feed formulation is a trade off, it will cost you less but take up a little more of your time. How can organic feed meet the requirement? Enzymes: Enzymes are added to help to break down the feed in the gut and provide good bacteria. Trace elements: These are vital to all the living creature. For example selenium, copper sulphate, and manganese oxide. Protein: Protein is probably the most important ingredient in the feed and it varies according to the use and the chicken's age. 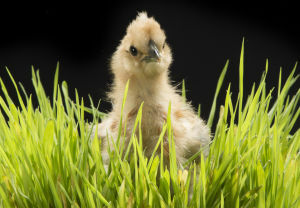 The above-stated ingredients are present in the organic chicken feed minus any chemical additives that can be harmful. So, to answer the basic question: Is organic chicken feed worth it? The answer, any day, will be a big YES!